Pristine Brick Cape, 11 Acres, Open Meadows & Views in Western Mass. Impeccably Maintained Quality Built Brick Cape on 11 Open and Picturesque Acres! Living in the country does not get any better than this. Come take a look at this impeccably maintained quality built brick Cape on 11 beautiful acres that overlooks protected land & picturesque views. It is the ideal setting to have animals, gardens or just sit back and enjoy the fabulous setting. The interior features a very nice kitchen w/cherry cabinetry, a center island, granite counter tops and it is open to the dining area. There is a large living room w/cathedral ceiling and a handsome brick fireplace. In addition this home has a fabulous sunroom, first floor bedroom & full bath, pantry, laundry, and a second floor master bedroom complete w/walk-in closet and full bath. If more space is needed, the full walk-out basement has two finished rooms that make a great family and recreation room. The bonus is an in-law apartment located above the 2-car garage that is perfect for guests or can be used as a studio or home office. 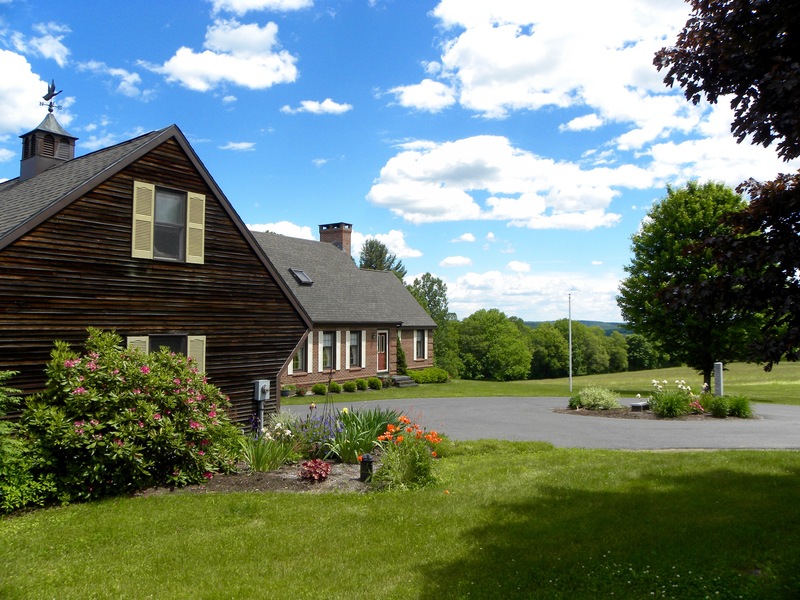 Located 30 min to Northampton & the Berkshires. Located in Plainfield, Mass. Asking $349,000 Must See!